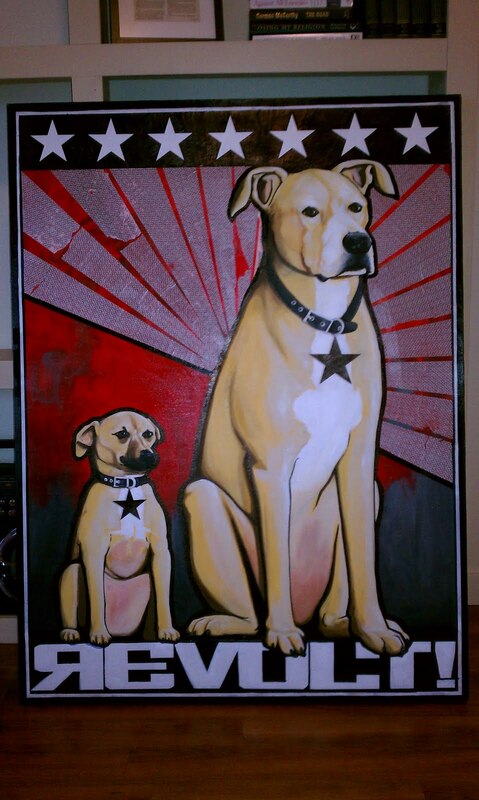 This is a commision painting I just finished for a good friend of my brother. I was going for a realistic yet hardline propaganda inspired piece. 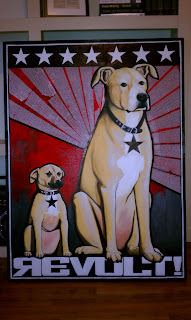 I love these two dogs after painting them for two months and I've never met them. I really had fun with their two different personalities. 36" x 48"